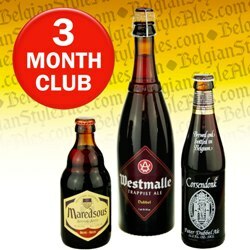 Our Belgian Beer Club is the perfect chance to explore a variety of the best Belgian beers. Each month showcases a different style with a selection of top-rated beers -- each from a different brewery! CLICK AN OPTION BELOW for full description and price.